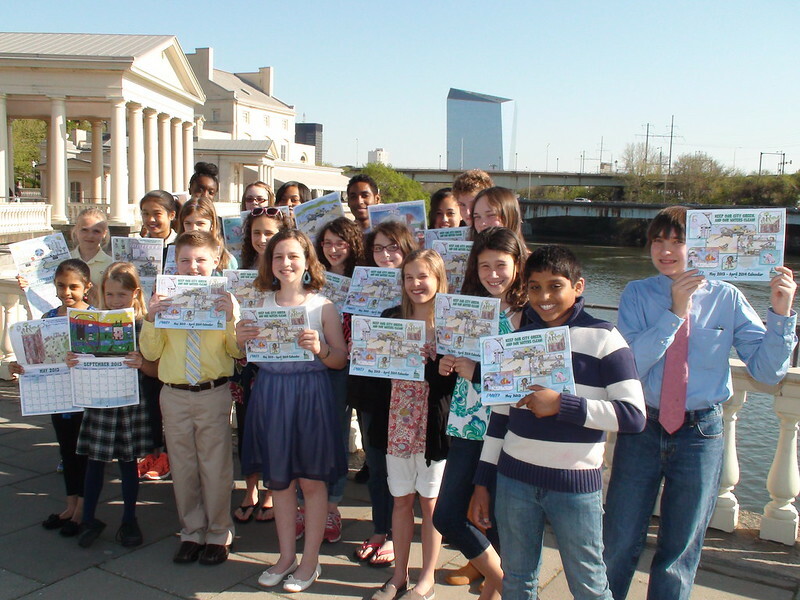 For the last eight years, we've been working with the Partnership for the Delaware Estuary (PDE) to organize this contest—open to all K-12 students that attend public, private, or home school in Philadelphia—and that's given us a pretty good idea about what makes for a winning entry. 1. The biggest tip we can give budding artists: do your homework! You might not know it, but little things we do every day can hurt or help the birds, fish, frogs, turtles, salamanders, bugs and other critters that call Philly's rivers and creeks home. The main idea your art should tell people is that only rain should go down our storm drains. Most of the people in your class and neighborhood know that littering is bad, but when making art for this contest, think about what happens when trash like plastic bags, soda bottles and cand wrappers get washed into our rivers by rain storms. How could that be bad for a bird like a duck or sea gull? Show us that in your drawing! There are other things that can hurt or help our rivers that most people don't think of. Did you know not cleaning up after your dog can make water unsafe? Or that planting trees along our streets can help clean and soak up dirty water from storms and keep it out of storm drains? One of the easiest ways to learn about all the things you and your family can do to help rivers and creeks is to look at our Stormwater Handbook. Inside, you can find lots of ideas for the 2017 Green City, Clean Waters Art Contest. The PDE also has even more tips to help you come up with ideas. Another bit of research that can help you come up with ideas: find out what “watershed spirit animal” is featured on your local storm drain markers. In Philadelphia, we have seven different watersheds, and each one has a special storm drain marker showing a fish, bird, mammal, reptile, amphibian or bug that lives in nearby waterways. The point of those markers? To remind people that the storm drains on our streets lead to waterways, and only rain should go down the drain because things like trash and chemicals can hurt animals like otters and blue herons (a kind of bird). If you don't know what kind of animal your local storm drain marker has, just look up your address or your school's address to figure out your watershed. Then, see what critter is found in your area by looking at the Storm Drain Marking Program page. Don't see these special storm drain markers in your neighborhood? Ask your school about doing a project where students help out and mark sidewalks with the right watershed critter for your area! One of the coolest things about this art contest? We use the winning art to create giant street art stickers that go on sidewalks as well as posters that are shown on SEPTA buses and subways. If your work is selected, thousands of people all over the city will see it--and hopefully learn something about protecting Philly's waterways, thanks to your creative work. You probably see ads for all sorts of things when riding the bus, subway or train. What works? How would you use those spaces to teach people headed to work or school about things like littering or making sure motor oil doesn't leak from cars and get washed into streams? Since some of the street art will be placed on sidewalks outside of schools, think about what kind of images will get the attention of students like you. When trying to make art that tells a story about a few different things, people often want to add words that explain what they want to get across. For this contest, we want you to focus on just doing the art. Try to stick to the main message: only rain goes down the storm drain. If you need to use words for something like a sign, please use no more than 5 words. Don't worry: we'll use the winning art and add words when we design the SEPTA posters and calendar. Check out some of the winners from last year to get a better idea. Before you start on your piece, go over the rules with a teacher or parent so you know what you have to do to get into the contest. The Partnership for the Delaware Estuary put all the rules—and lots of ideas for topics you can draw, paint or sketch—on their website. Once you've done some studying, you'll have much more fun when coming up with the perfect message to help protect our local waterways. 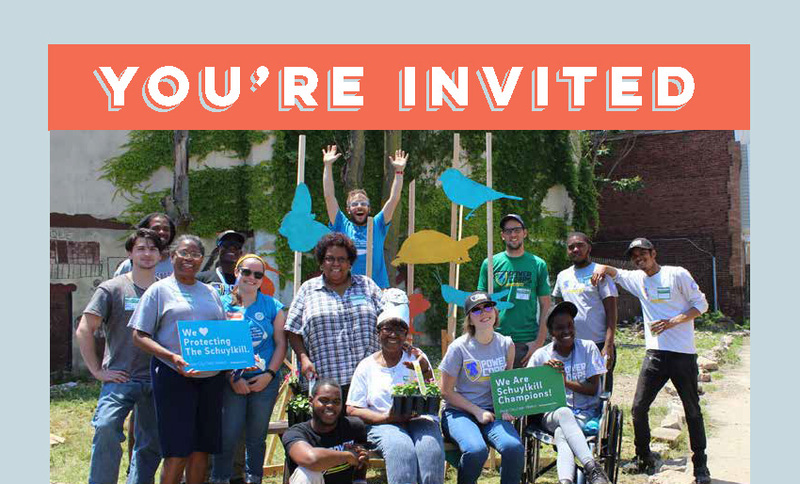 On top of doing something good for your city and the environment, this contest is a chance for students to win gift cards worth as much as $100. We'll also have $50 gift cards for teachers of winning students and $100 gift cards for the first three schools or organizations to submit over 100 entries. Remember – You have until Friday, March 17 to send in your best Green City, Clean Waters art and only one entry may be submitted per student, so get started now! All requirements and criteria are in the Official 2017 Green City, Clean Waters Art Contest Brochure. Give it a read! These 25 Philly Homes Were Made More Beautiful by Rain Check: Pick Your Favorite!